On Twitter, the "First Gent of South Bend" is both a proud supporter of his spouse's presidential run and a genuinely hilarious presence. 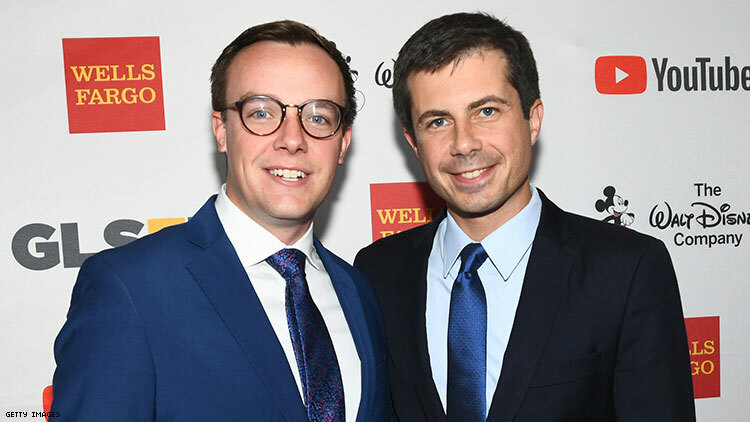 As adoration for openly gay presidential candidate Pete Buttigieg continues to grow, what no one is talking about is that the real star on the presidential ticket could be Buttigieg's husband: Chasten. The self-described "First Gent of South Bend," drama teacher, and Harry Potter superfan has many of his own talents, one shines brighter than them all: his Twitter account. While his husband may get lightly knocked for his mainstream, soccer dad demeanor, Chasten is quite the opposite with his unapologetically gay and funny online presence that is seeing rapid growth in followers everyday. And as his self-proclaimed "underdog" husband continues to capture the hearts of many Americans, we decided to round up a few of our favorite tweets from the man who may become the first male-identified 'First Lady' ever. First up, children love him. Kid hands me my food: you’re the mayor?! Other kid: no that’s his HUSBAND! Chasten is a deft Twitter presence, coming off as funny and likable. Hope your night is as spectacular as that of the gentleman parked next to me at Menards eating a rotisserie chicken from the container. Live your truth, sir. Best of all, Chasten is a proud cheerleader for his husband and his political aspirations.